Your body’s largest organ and your barrier against the world, your skin absorbs every ray of sunshine and microgram of environmental pollution that comes your way. Therefore, it is the first part of you to show damage. Ageless Living aims to undo this damage with the latest technology and the most effective treatments. DermaFrac is a treatment designed to improve the overall appearance of your skin, reducing wrinkles, fine lines, scars, uneven pigmentation, sun damage, and large pores by painlessly creating thousands of tiny ‘micro-channels’ in the skin and using these channels to deliver clinical strength serums. Fractora & Fractora Forma treatments are one of the newest, most advanced techniques that use the most effective modalities available for skin tightening and resurfacing of the face. Like the Fractora treatment, IPL Photofacials aim to stimulate collagen below the epidermis, but unlike Fractora the pulses of intense light used in IPL treatments are designed to make existing collagen constrict, treating pigment irregularities and reducing redness, wrinkles and vascularity through the targeting of desired chromophores. Our advanced Blu-U Photodynamic therapy uses blue light to selectively eradicate Propionibacterium—the bacteria that cause acne—leaving your skin less prone to breakouts. Results can be seen in as little as two weeks after twice per week, fifteen-minute treatment sessions. Blu-U is a great alternative to antibiotics that can have side-effects and harsh chemical treatments that can damage your skin. It’s safe, non-invasive and isn’t painful at all. Imagine the results and powerful fat-removal of liposuction without surgery or the months of recovery. BodyFX uses gentle, painless radio-frequency energy to permanently remove fat cells, slimming you down and reducing the appearance of cellulite. A twenty-minute treatment could have noticeable results—you could be a new you on your lunch break. BodyFX can be a great way to kick-start your skin tightening program, and combined with positive lifestyle changes, could be the final answer to all the fad diets and exercise regimes that you’ve been trying all your life. This popular skincare treatment gently ‘sands’ your skin, removing dead skin cells and causing your current skin cells to regenerate. The procedure is virtually painless, over quickly and you can get back to your normal routine right away. You might experience a little pinkness for a day, but after that it’ll feel like you never had the procedure— but you could look years younger, with visibly reduced wrinkles and acne scars. These treatments are similar to microdermabrasion in terms of result (clearer skin, reduced wrinkles and scars), while being completely different in how they work. 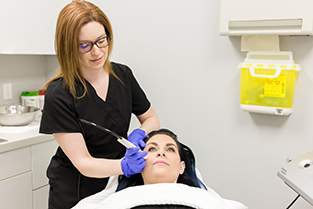 With a chemical peel, exfoliation happens because of the application of a chemical solution that is essentially a stronger version of the exfoliants you can find in any pharmacy. As your skin naturally heals itself you will see a noticeable difference in the condition of your skin. There is a significant difference between the home facial products that you can buy in pharmacies and the medical-grade facials that licensed professionals can perform. At Ageless Living we can formulate a treatment that meets your exact needs and produces effects far beyond what can be achieved with store-bought facials or even in high-end spas. Redefine, reshape and rediscover your jawline with non-surgical BELKYRA™ treatment. 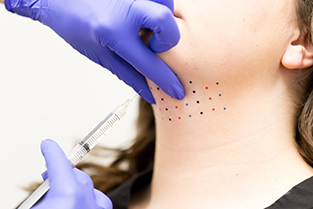 This new treatment is a Health Canada approved safe injectable substance that is a much less invasive option when compared to liposuction or a lower facelift. It uses a naturally occurring substance from our own bodies to eliminate submental fat from the chin area. Discover this lifeline for your jawline at Ageless Living Cold Lake. Book your free consultation today! 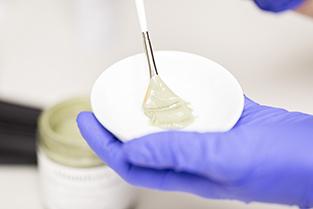 Platelet-Rich Plasma (PRP) may sound like a daunting term, but the concept is simple. 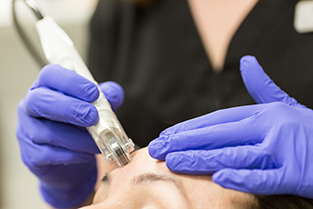 We utilize growth factors from your own platelets and combine this with advanced dermal microneedling. By combining these techniques we can help your tissue regenerate and rejuvenate utilizing your naturally occurring growth factors (PRP cells). 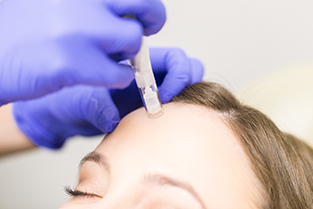 If you are interested in discovering the benefits of microneedling without PRP therapy we are happy to help develop your custom treatment plan. Which treatment is right for you? Contact us to book an appointment.